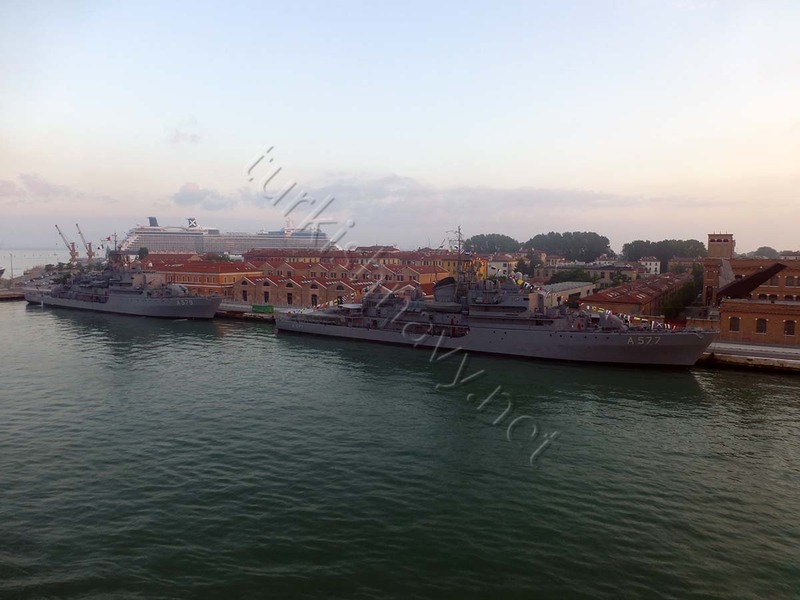 A-577 TCG Sokullu Mehmet Paşa and A-579 TCG Cezayirli Gazi Hasan Paşa in Venice. Photo: Dilek Yaylalı. 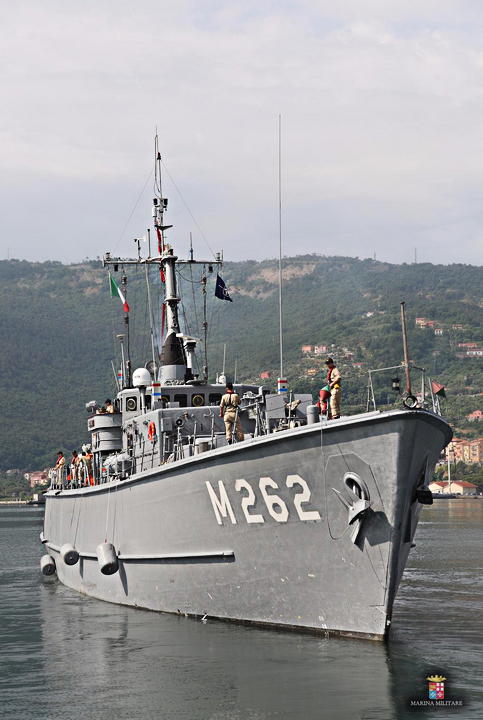 A-577 TCG Sokullu Mehmet Paşa in Venice. Photo: Dilek Yaylalı. 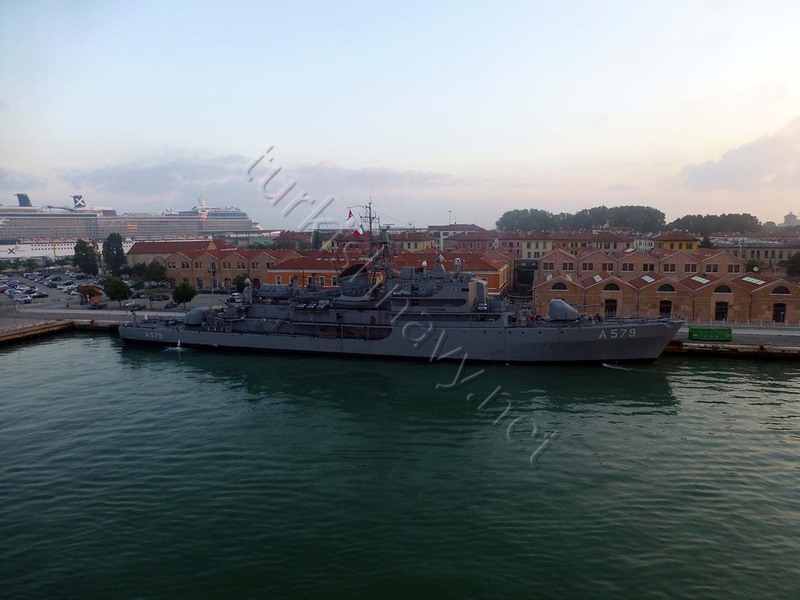 A-579 TCG Cezayirli Gazi Hasan Paşa in Venice. Photo: Dilek Yaylalı. 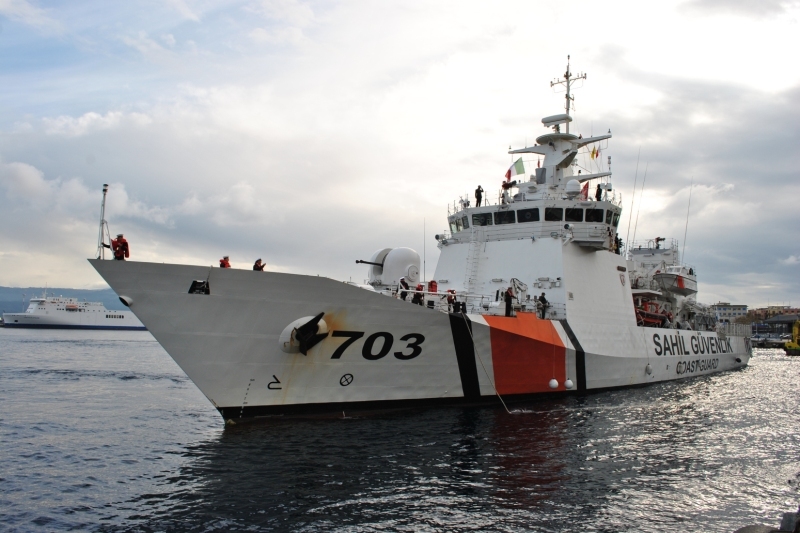 The two training ships of the Turkish Navy A-577 TCG Sokullu Mehmet Paşa and A-579 TCG Cezayirli Gazi Hasan Paşa are cruising in Mediterranean with the Turkish Naval Petty Officer Vocational School on board. 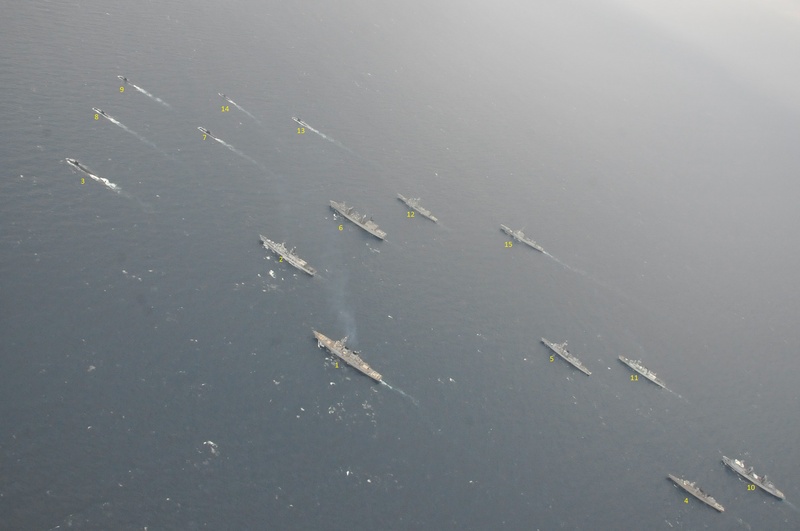 Every year the cadets take part in these open sea cruises as a port of their training. During this year’s cruise the two ships will visit Split, Croatia, Venice, Italy, İzmir and Çanakkale before returning to home. 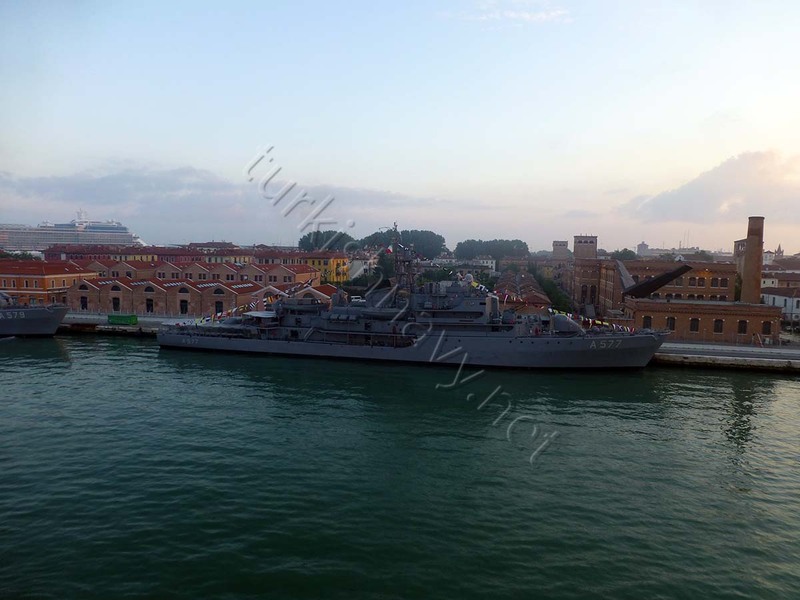 The above photos show the ship during their visit to Venice, Italy between 18 and 23 May 2014. 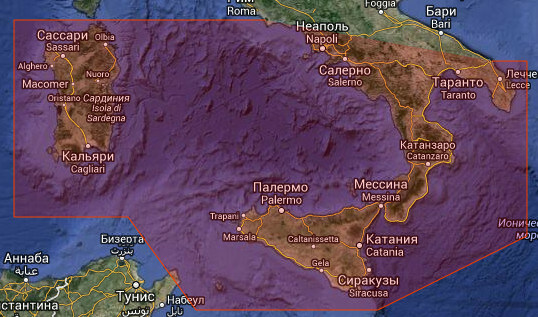 Between 26 September and 6 October 2013, a large fleet of warships from NATO’s Response Force (NRF) and from other task forces will take part in Brilliant Mariner 2013 maritime exercise in the Mediterranean Sea. 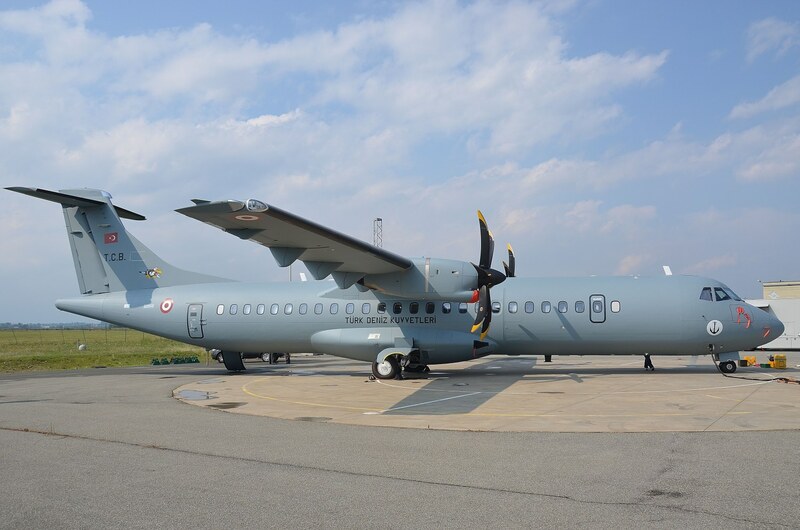 According to Turkish Navy F-246 the frigate TCG Salihreis, the mine hunter M-264 TCG Erdemli and the submarine S-358 TCG Çanakkale are going to take part in this exercise. 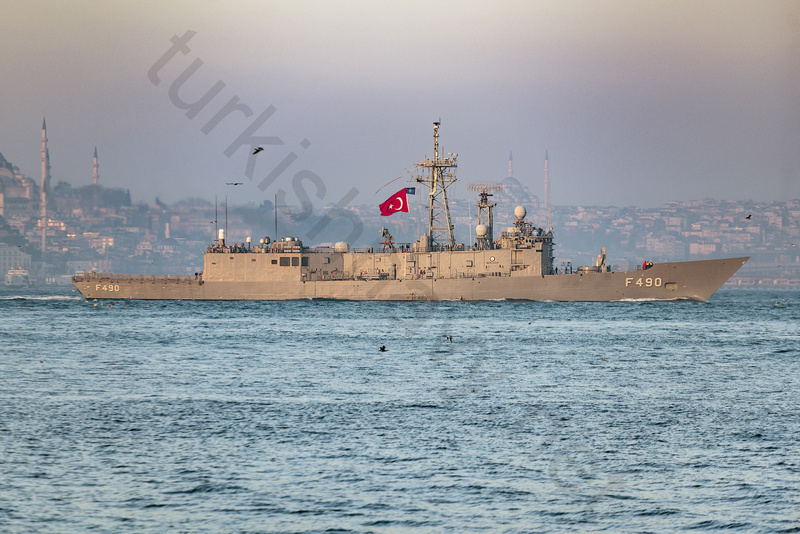 TCG Salihreis is the Turkish contribution to the NATO’s SNMG-2 task force and TCG Erdemli is part of the NATO’s SNMCMG-2. 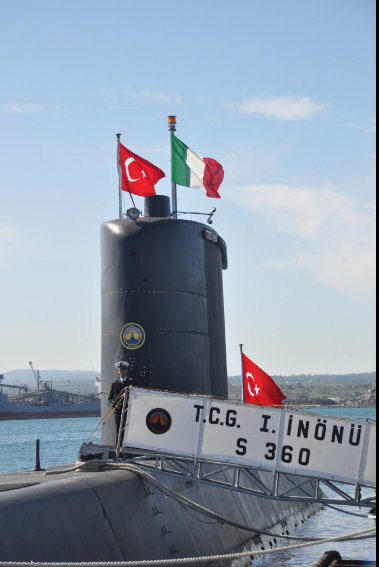 This means that the Gür class submarine TCG Çanakkale, is the only Turkish national participant to the exercise.